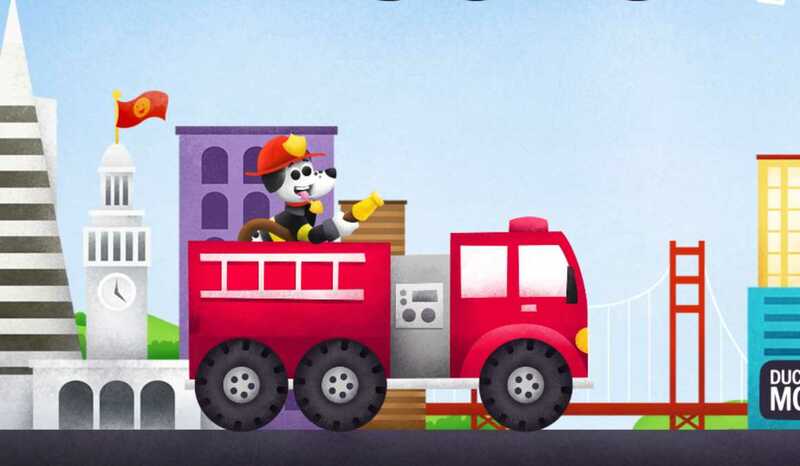 Kids race monster trucks, use a firetruck's hose to put out a fire, take cars to the junk yard and smash them, and operate a crane in this fun truck-themed activity center. Lots of fun activities for preschoolers who love their trucks. 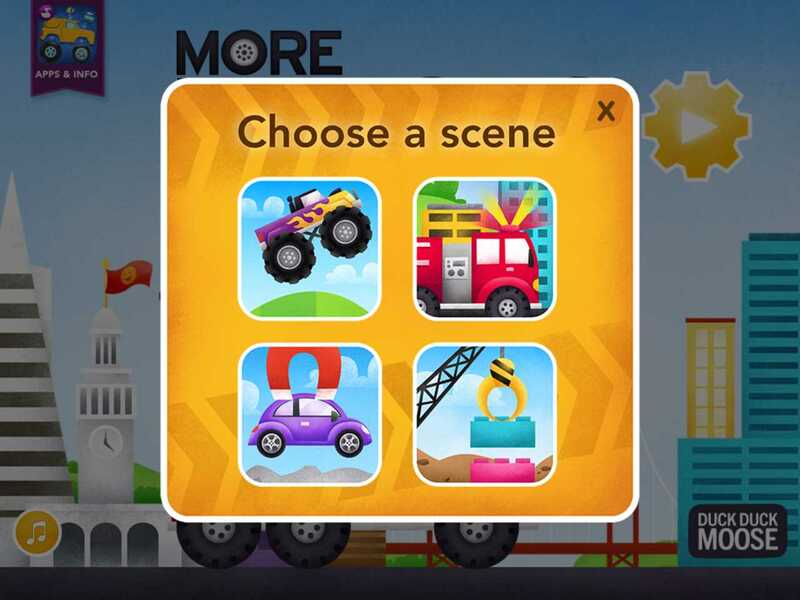 A sequel to Trucks, a popular Duck Duck Moose's app, More Trucks delivers four new truck-based activities. The standout activity is the one that lets kids race hilarious-looking monster trucks over bumpy terrain. 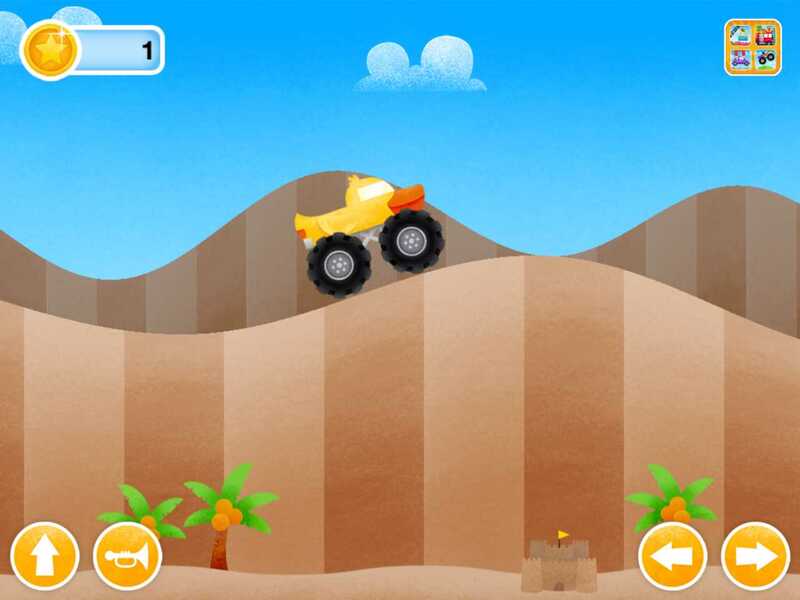 Starting with a Duck Monster Truck, kids drive forward and backward using arrow keys found on the bottom of the screen. The goal is to jump over obstacles by hitting an up key and collecting as many coins as you can. There are 10 monster trucks to unlock and drive. 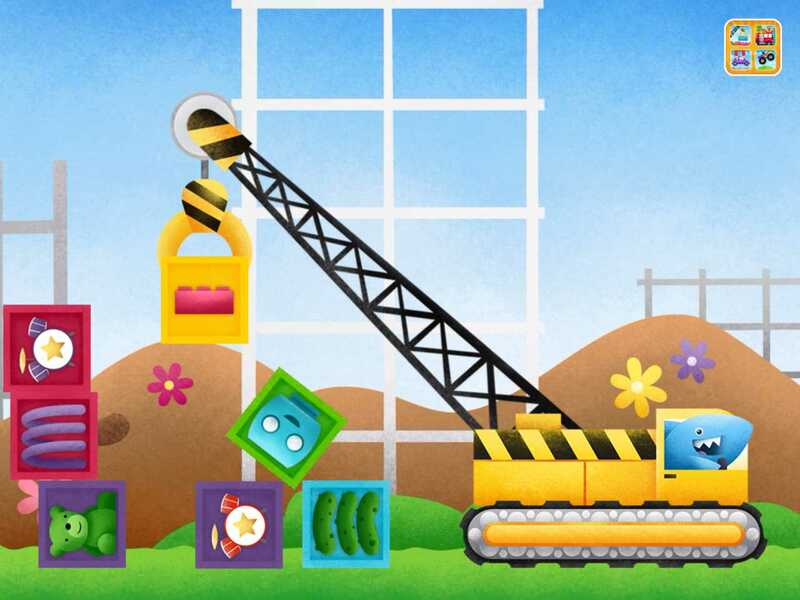 The other three activities include driving a fire truck to a fire and using its water hose to put out the flames; taking cars to the junkyard and using a magnet to unload them; and controlling a crane to build structures, which can be knocked down with a wrecking ball. More Trucks - by Duck Duck Moose is a little more challenging to play than the first one; so it is best for preschoolers.